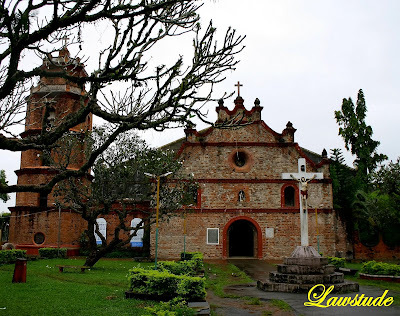 Bayombong is the capital of Nueva Vizcaya and the home of St. Dominic Church. This church is the first and arguably the most popular one in the province.It was razed by fire twice and rebuilt in the same old site. The cathedral maintains the original facade and as such a veritable treasure, a relic of the past for its historic and aesthetic remains of a proud Christian past. Incidentally, I was with St. Dominic's namesake during this trip and he will post about this trip in his blog soon. Wow ang galing! 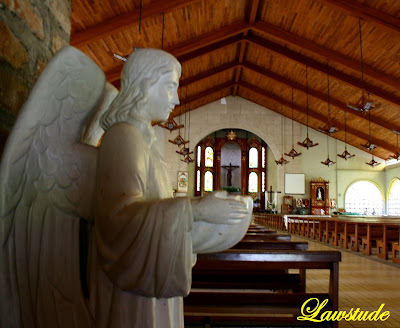 Me and my family attended the last Easter Sunday mass here :) Pauwi na kme nun from Isabela at sa Bayombong na kme inabutan na merong misa. ganda! antigo talaga pati yung tree bagay na bagay ang combination. Ang galing, ganda ng place, so serene. "isasama ka nga namin one time. naakyat mo na ba ang mt pinatubo?" Sabi yan ni Dong Ho. I wonder kung kasama ka sa "namin"? Haha. Hehe. Yung kasama mo sa trip ang naisip ko pagbasa ko ng St. Dominic na yan. The church looked very big and the architectural designs are very beautiful. I like the last photo where the windows showed part of the church. Very lovely. i loved the window shot. good thing old din windows, para tuloy antique shot. nice to know that you're bringing your journeys to Region 2 coz i'm from there, Aparri in particular. Oh I love the high wooden ceiling. parang nasa europe ka pala dyan sa church na yan. the hues of the brick facade are remarkable. i like the last photo the most. i remember it when we were at the museum. Panalo pre and simbahan na yan. Ang ganda. Hey, I'd been here a few years back pero wala 'ata akong dalang camera. I'd like to visit this place again. The church is simply more beautiful as captured by your camera than when you actually visited the place. Thanx for sharing, Oman. Natutuwa ako at nakita ko dito sa site mo itong isa sa mga lugar na napuntahan. 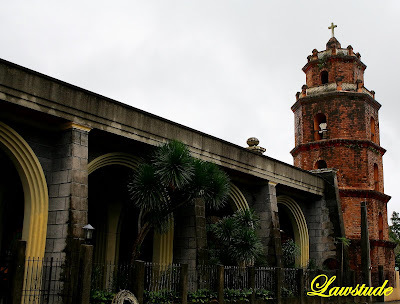 @ kegler747 - maganda kasi yung harap ng church at parang smaller version sya ng paoay church kasi walang mga commercial establishments sa harap. @ luna miranda - thanks, medyo nagiging creative yata ako pag church ang subject. @ joshmarie - hahaha. maganda lang talaga ang subject lalo na yung facade. @ nanaybelen - totoo po yun nay. nagpaganda ng place yung mga puno ng kalatutsi. @ sheng - yup. i also felt that way when i was there. @ mel - thanks. wow. enjoy kasama si dom. no dull moment jan. di ko rin alam kung kasama ako sa "namin" hehehe. @ borneo falcon - it is. thanks. 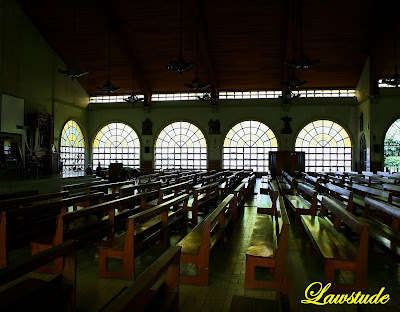 @ redlan - di rin nya alam na kapangalan pala nya church na yun eh, pero mainam na may kasama santo kasi pazigzag daan tapos mahamog pa.
@ reena - it was burned down twice. the interiors look contemporary but what amaze me about it are the wooden electric fans that hang from the high wooden ceilings. @ alicesg - the last shot was taken inside the people's museum just beside the church. the church appear bigger in my pic that it actually is lol. @ travelphilippines - that's true buddy. @ alain - yup. 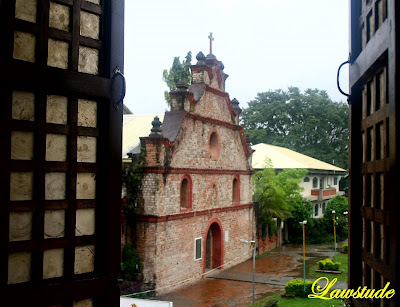 those windows are made from capiz shells. never been to aparri but would definitely want to go there. @ photo cache - i also love it. thanks. @ daniel j santos - the pride of bayombong. thanks for the visit. @ francesca - never been to europe eh. sarap siguro doon. @ fortuitous faery - i agree... so ancient. @ bw - thanks. the ediface is what remains of the original church. @ domho - totoo yun bro. ang lakas ng ulan kaya ang hirap kumuha ng angles. na-stranded ka nga sa loob ng church eh lol. @ vinzent - panalo talaga. thanks pre. @ dodong flores - salamat bai. sarap kasi kunan yung harap ng church kasi yun talaga pinakamaganda part ng church na to. yung interiors nya ay simple lang pero ang ganda ng ceiling nya at hanging fans na gawa sa kahoy. @ junroe - thnx. never been to leyte bro but i would definitely want to check the place sometime. @ vanny - salamat. sa sobrang luma ng pader eh tinubuan na ng halaman. Espero que seja apenas um...Até Já! Ya veo que no pierdes el tiempo compañero, sigue con tus fantásticas series. love the photos. they look so alive. Lovely church and it looks so old but nevertheless beautiful. 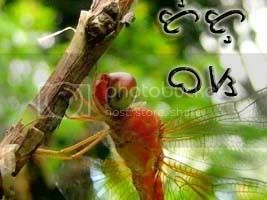 Rest ka??? Ok lang basta do come back soon ok? ganda naman ng facade... captivating yung architectural design. nung nagcordillera trip kami, gusto kong pasyalin yung lahat ng simbahan sa cagayan valley. kaso ni isa wala akong napuntahan. frustrating. ang dami pa namang magaganda, historical at old-aged churches dun. side comment: sabi na nga bang panira ng blogging ang work eh. kaya dapat siguro stop nalang tayo ng work. hehehe. We will definitely miss your on-line presence but I guess you must prioritize your work. We will await your return. sana makabalik ka agad. will miss your posts for sure! Nice shots of the church and its surroundings! 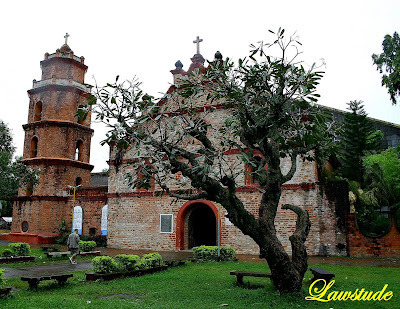 beautiful pictures of the church..ewan ko ba, type na type ko ang old churches. Beautiful architecture. 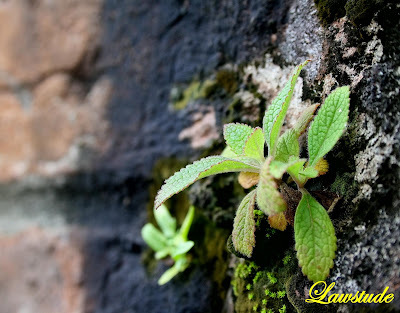 I love the little plant photo. (you don't need to apologize for studying...it's what you need to do! visit other blogs when you need to take a break. thanks for visiting mine). 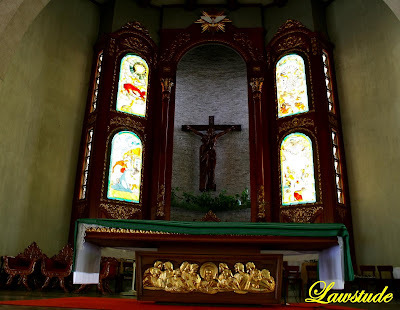 i was born in nueva vizcaya and diyan sa saint dominic halos kinasal lahat ng mga pinsan ko maganda siya sa loob marami na akong nakitang simbahan but still im proud to say maganda ang saint dominic even here in abroad mas maganda talaga although madami na rin ako nakitang modernong simbahan. mahirap kuhanan ng pict kasi pag di ka marunong mag capture its dark inside ang kakalabasan thanks parang bagong bago capture dito.